Forged in foam! 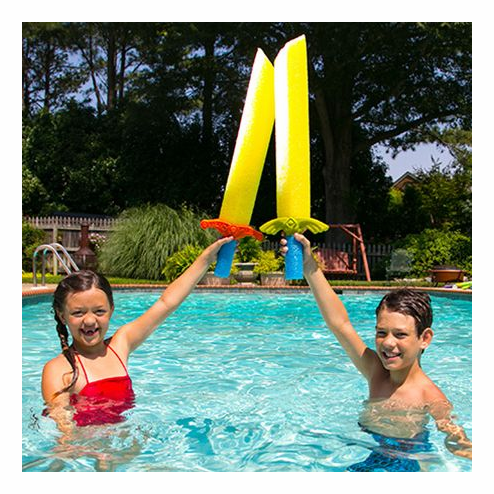 SwimWays Noodle Knights are pool noodle swords that ignite the imagination. Perfect for pirates, warrior princesses and knights in shining swimsuits. Keep a few on hand for your next kid's pool party, play date, or dress-up fun. Soft foam noodle tip is slanted to look like a sword.